Why? Well, after having recovered from our SECOND earthquake, I'm now getting ready for the Boardgamegeek convention in Dallas. What's that? Just a nearly week long gathering for players of board games sponsored by Boardgamegeek, the best user built database of boardgames on the whole internet. Attendance tips the 2,000 mark this year. Episode 1: The Station loses life support. Episode 2: The crew encounters Adam Zane. Episode 3: Can the Station save Earth? Episode 4: (Available Nov 21) The final fate of Space Station Alpha. These are geared for kids 6-10 yrs old. Hope you enjoy them. ..because of last night. But a little history, first. 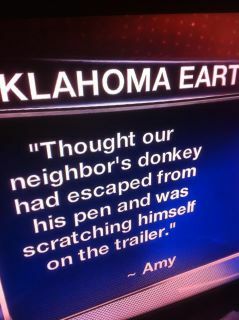 I live in Oklahoma City, right smack dab in the middle of the state. Also, there are a few fault lines that run through the state and we do get a lot of tremors, mostly in the 2 and below range. Earlier this year we had a 4.2 south of here that we felt and the day before yesterday there was a 4.7 in Prague. But last night.... last night. Whew. My mom & sister are visiting for my birthday and Eldest Son and his Lovely Girlfriend were over as well. I had thought about building a fire outside, I opened the patio door and I thought I heard thunder. Odd, it's supposed to rain on Monday. Well, the evening was closing up, Son & his Girlfriend had left, Mom & Sis were in bed and it thundered again. But it got louder...and the house started shaking...and it got louder still.. and the house shook harder. We were having another earthquake and it was a big one this time. It probably lasted about 45 seconds. Of course, reports came in from all over as to who felt it. First was Joplin (187 miles) and Wichita Falls (187), but the we heard of Dallas (232) and Kansas City (345) but this morning I'm reading of Chicago and Milwaukee (848 miles). I'm sure that Amy speaks for me and everyone else in the state. 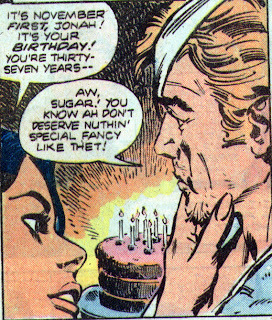 So have a slice of cake, drink a shot of something, read or watch a western, and thank everyone involved for giving us Jonah Hex. 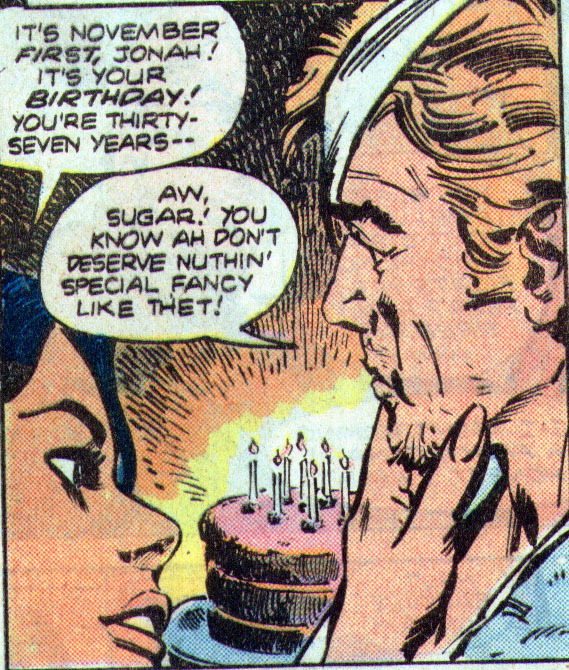 It's also Michael Fleisher's birthday and he is 69. Happy Birthday, Mr. Fleisher.